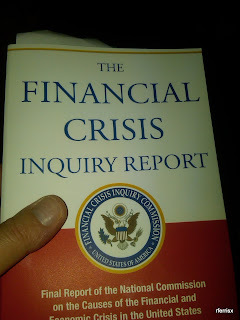 Reading more like a financial thriller than a dry, academic treatise, The Financial Crisis Inquiry Report may well be the best historical work you will read this year. Or maybe for the next ten years. The FCIC has produced an examination of the financial collapse as shocking as it is revelatory. 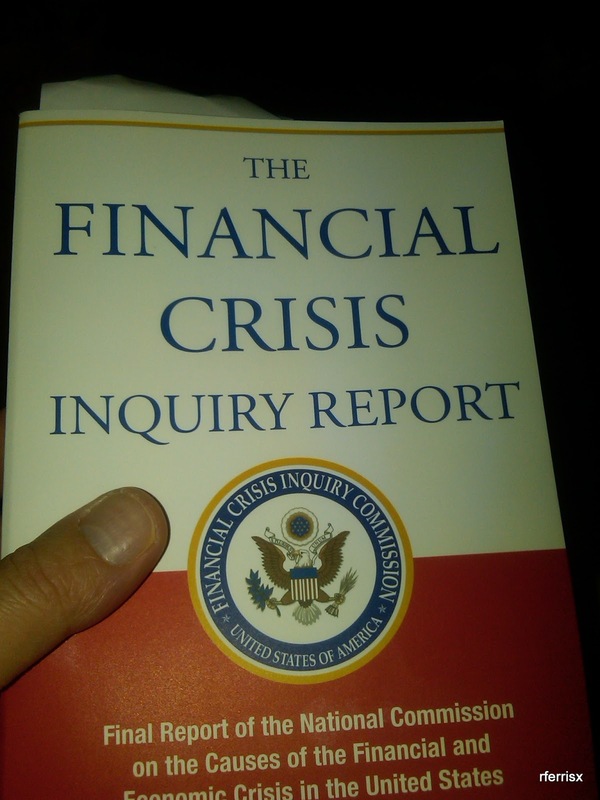 Most of us understand some of the forces that produced the financial crisis, but the The Financial Crisis Inquiry Report rips them open, suctions away all the vapid blood, and then coolly dissects the players and the partners that colluded in the calamity. I opened the book to Chapter 8 ("The CDO Machine") the first night it arrived via special order from Village Books in Bellingham, WA. I continued to read ahead to Chapter 10 ("The Madness"). Even with four solid years of experience working with and often stationed on the floors of Investment Banks, almost every other page shocked me with excess, and defied what even a jaded cynic such as myself would have thought was possible. Did you know what a "CDO squared" was? Or the part it played in the collapse? Have you wondered what "OTC Derivatives", "synthetic CDOs", "Credit Default Swaps", "Shadow Banking", or unregulated financial contagion actually look likes from the ground level? What role these structures have played in the collapse and what roles they may continue to play? Have you wondered how so much liquidity could have been injected into the world economy in the last ten years? Have you wondered how so many bright people let such a debacle come to pass? Are you looking for hard-hitting government journalism that names names? Then this, my friend, is the book for you. I purchased mine for $14.99 at Village Books. It is currently selling for as little as $8.43 on Amazon and free to download from the FCIC. Rarely ever does a government produce literature so dramatic and so thoroughly critical of corporate malfeasance and lack of governmental oversight. This is a landmark work. Bravo.